Far less well known today than he has any right to be, Hezekiah Leroy Gordon "Stuff" Smith (1909-1967) was the most important American jazz violinist of the 20th century. Stuff wrote songs recorded by Louis Armstrong and Sarah Vaughan. He made albums with Ella Fitzgerald and Nat "King" Cole. Oscar Peterson and Ray Brown worked as his sidemen. Art Kane's famous 1958 photograph of jazz royalty — "A Great Day in Harlem" — features Stuff, smack dab in the middle. Stuff was the life of any party he ever walked into. He loved a crazy story, and he lived out more than his share. As jazz historian Dan Morgenstern put it to me, "Nobody swung harder"
Stuff became my favorite jazz violinist, when, working as a deejay at UVa. 's WTJU, I bootlegged (on cassette tape ) a copy of his exuberant live album "Swingin' Stuff," recorded in 1965, the year I was born. It sounds like a party you'd never want to leave. Decades later, obsessed by Stuff's sound on that album and other late records like "Black Violin," I got in touch with the world's leading expert on Stuff Smith, Anthony Barnett. Anthony sent me some of his remarkable books documenting Stuff's life (e.g. "Desert Sands," "Pure at Heart,") and rare recordings, including house party tapes from LA recorded in the 1960s on an early Uher portable tape recorder. That serendipitous connection led to a trans-Atlantic friendship and collaboration, and Anthony put me in touch with Stuff's fourth wife and widow, Arlene Smith, who was 93 when we first spoke by phone. Later, an unexpected call from Arlene left it clear to me that I needed to try to find Stuff's grandchildren, to whom she had sent Stuff's favorite violin, "Big Red," after his death in 1967. 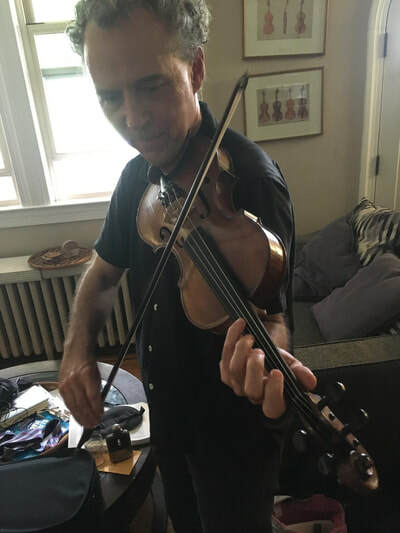 Almost exactly a half century after Stuff Smith's favorite violin fell silent, I met for the first time with Stuff's grandchildren, John and Cheryl Smith, and found myself in holding Stuff's violin in my hands for the first time. 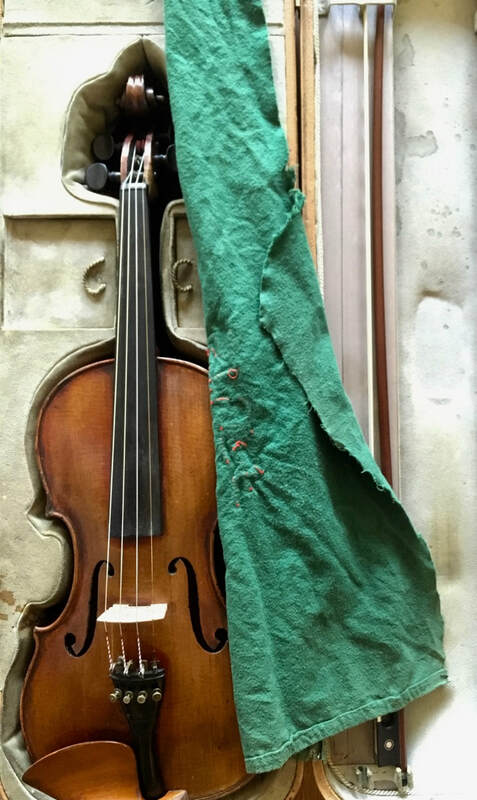 The story to this point is told in this radio documentary for Australia's ABC RN, and in this cover story for Strings magazine. 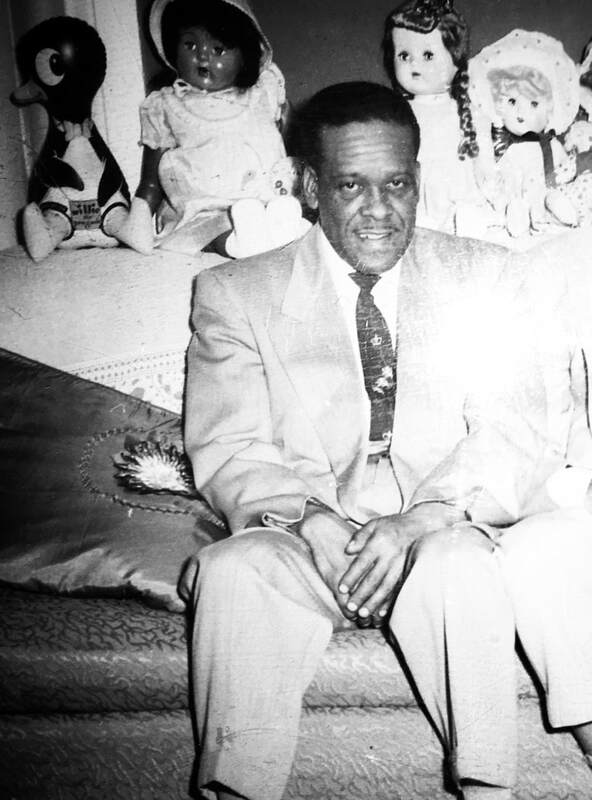 During the year after the re-discovery of Stuff's violin, I worked closely with the Smiths so that "Big Red" could be heard again in jazz concerts and recordings. Late in 2018, it all came together, and — after a December private recording session at Allyworld in Takoma Park — in January 2019 "Big Red" began the next part of its musical journey in the hands of the gifted Dutch jazz violinist Yannick Hiwat. 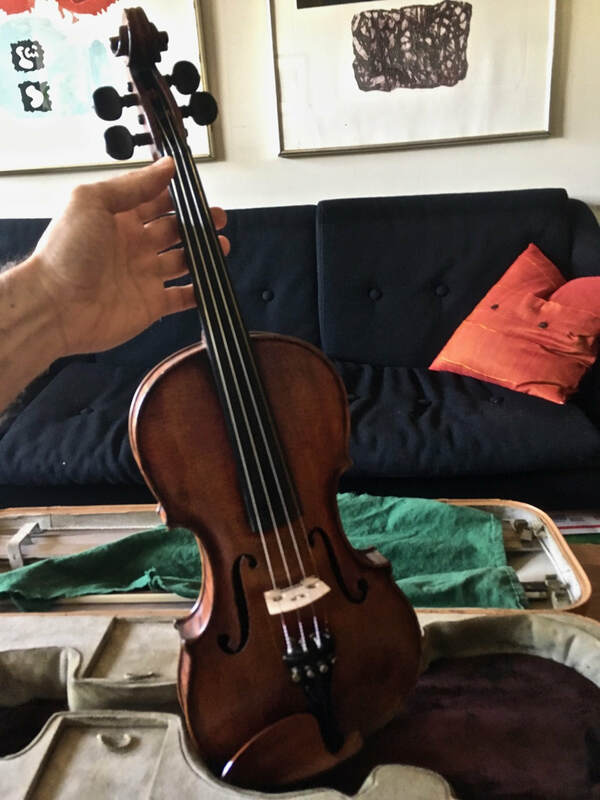 The story of my own six months of playing Big Red, and how the instrument ultimately found its way to its next true home with Yannick, is told in this piece for CapitolBop, "How Stuff Smith's Violin Came Back to DC."